Marvel’s Spider-Man will be about 20 hours long and will be 45GB+ to download. There are no micro-transactions in the game. Marvel’s Spider-Man for the PS4 is just around the corner. 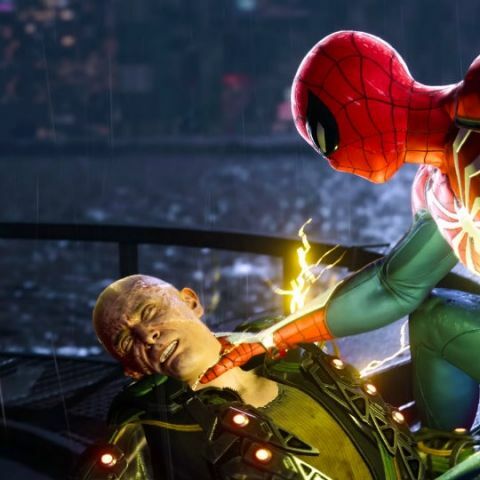 Developer Insomniac Games' Community Director James Stevenson has responded to fan queries on Twitter about the size and length of the game. Commenting about the length of the game he tweeted, “our average play tester took around 20 hours on default difficulty, but some spent a lot longer if they did a ton of side quests/activities”. For the download size of the game he tweeted, “will try to have an answer on that soon, but 45 GB minimum, probably a bit more + patch and stuff”. Marvel’s Spider-Man is one of the most anticipated Sony exclusives and will launch for the PS4 and PS4 Pro, on September 7. The game will cost Rs 3,999 for the standard edition and Rs 4,999 for the digital deluxe edition. We already know that Mr. Negative is one of the key antagonists’ and is a part of the Sinister Six (although there is one member of the six who hasn’t been revealed). We have also seen a battle with the Shocker and the Kingpin so expect the game to be packed with famous Spider-Man villains. The game will not feature micro-transactions but there will be a DLC coming for the game in the future bringing with it new suits, powers and missions. A story trailer for Marvel’s Spider-Man game for PS4 was showed off on day 1 of Comic-Con. The trailer confirms Silver Sable A.K.A Silver Sablinova as one of the villains in the game. Silver Sable is joined by her crime-fighting force Silver Sable International to restore order in the city. Sony will be releasing a new Spider-Man “Amazon Red” variant of the PS4 Pro to mark the launch of the game. The game is said to run at 1080p 30 FPS on the PS4 and will use checkerboard rendering to reach 4K 30FPS on the PS4 Pro. which AV is good for my computer?? ?